Exceptional comfort! 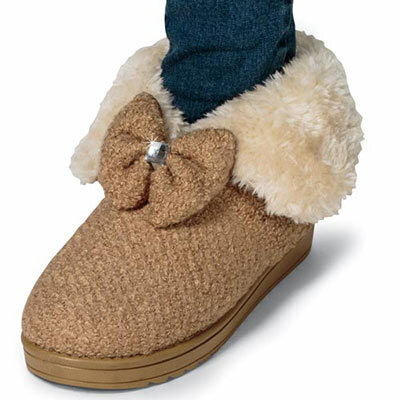 These unique Fuzzy Bow Boots are made from fuzzy tan polyester with a matching non-slip rubber sole. 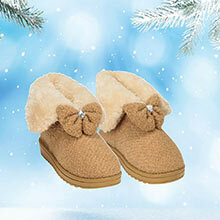 Perfect for all-day wear, they combine slipper softness with today's low-top boot style. 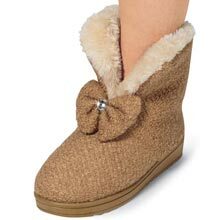 Faux shearling lining adds cozy comfort while the charming bow and faux gem accent adds a touch of sparkle. Imported. Available in whole sizes. Limited Quantities!